Ever grab a really hot steering wheel or burn your legs on extremely hot seats. 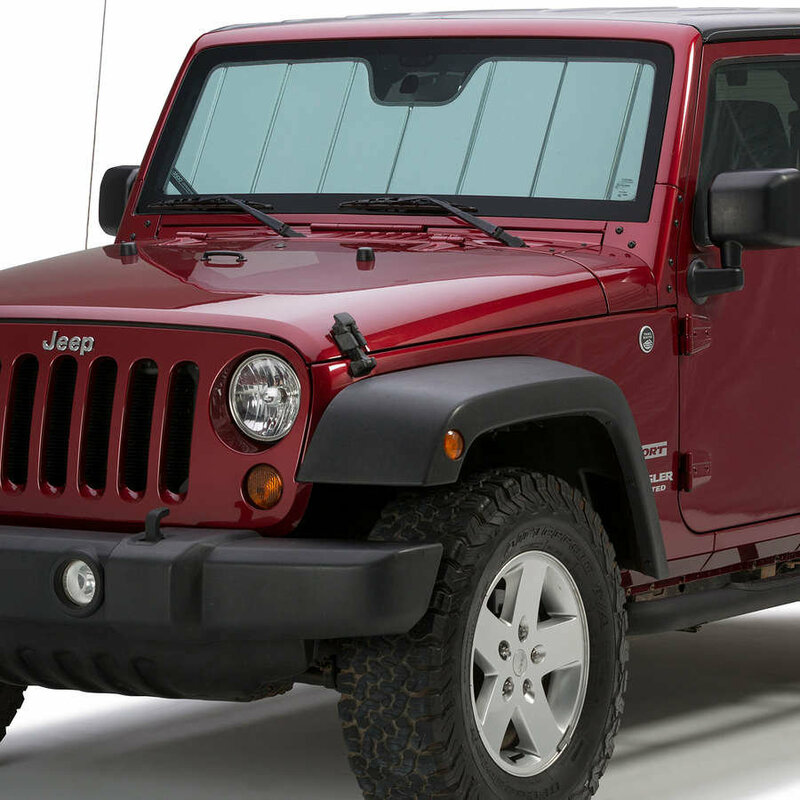 The summer heat can cause the temperature inside your Jeep Wrangler JL to become unbearable. The Covercraft UVS 100 Heat Shield will reduce this temperature with its reflective design. It also offers a foam core for additional insulation protecting your interior from destructive UV rays. Keeping you Jeep cooler and more comfortable. Installing in seconds and Made in USA. Custom Fitment: Specifically designed for you Jeep Wrangler JL windshield giving a custom look. Reflective Design: Keeping your Jeep cooler with an outer reflective fabric. Protecting your interior from harmful UV rays which cause fading or cracking. Easy to Use: Unfold and position across the windshield in seconds. Covercraft also offers a vinyl storage bag which is sold separate.